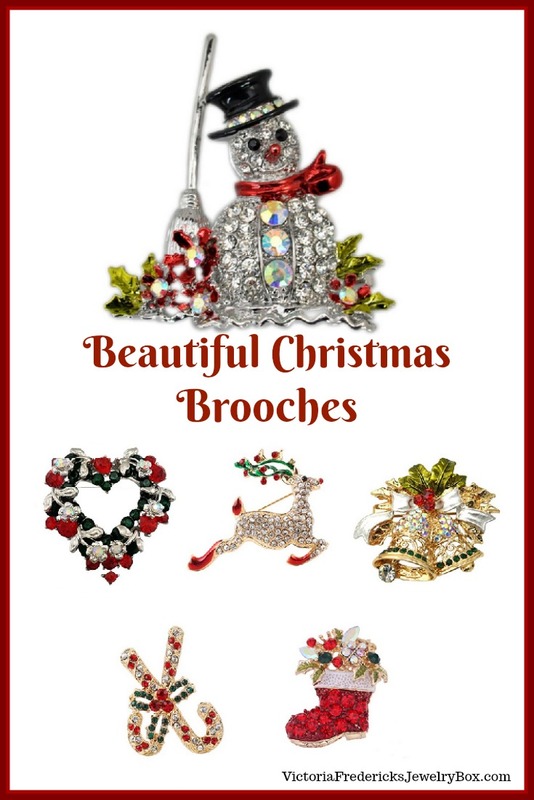 There is quite a variety of Christmas Brooches available this year! Brooches are definitely back in style, especially during the holidays. One of my favorite gifts for Christmas last year was a brooch that my husband’s aunt gave to me. It will always be a treasured gift. Every time I pin it on my sweater or coat, I think of the wonderful lady who gave it to me. If you are seeking a gift this year that will be treasured for years, I recommend a beautiful Christmas brooch. 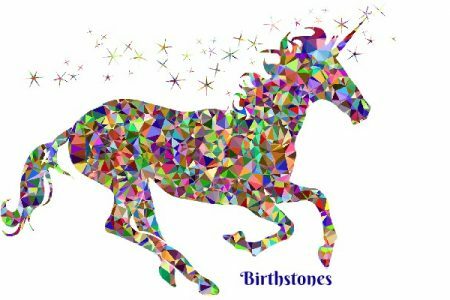 Everyone loves the gift of beautiful jewelry. Very few of us have multiple brooches in our jewelry box, which is why they make such a great gift idea. 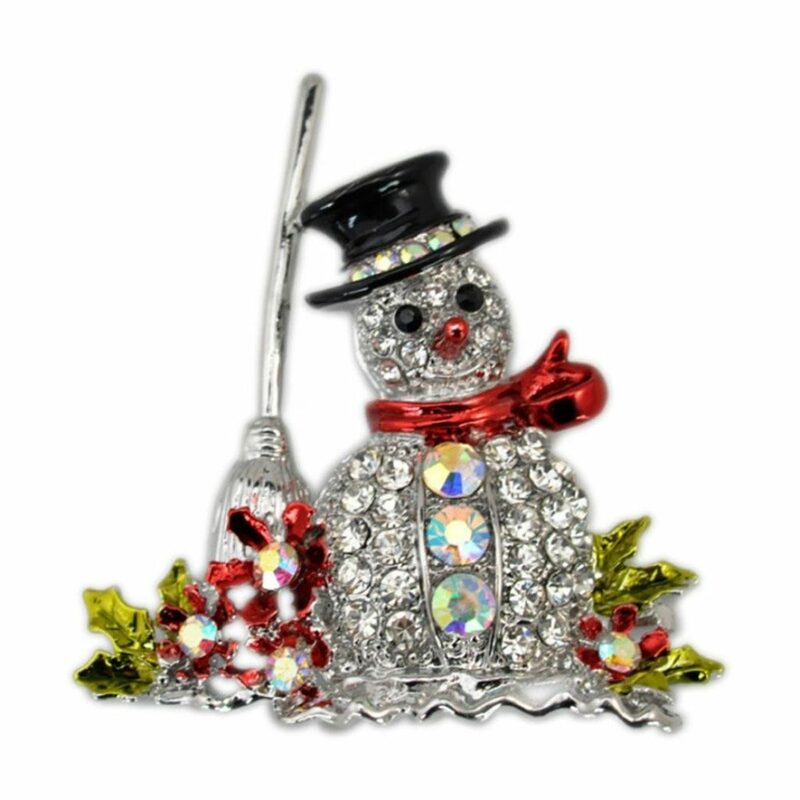 Some of the most popular Christmas brooches are something we are all used to seeing at Christmas. The Christmas tree. The colors on these brooches are fantastic! With the white or green background of the tree, the beautiful jewel ornaments really stand out. The multiple colors may also be another reason these brooches are among everyone’s favorites. Wreaths are another popular decoration during the holidays. The circle of gorgeous colored jewels is certainly stunning on coats and sweaters. Choose between a wreath decorated with bows, bells or just jewels. Either brooch is beautiful and would be loved. Because they are not embedded with precious gems, all of these wreath brooches are reasonably priced. That would truly make them a great gift for a child to give to their mother, or a pretty extra gift from a boyfriend or spouse. Christmas is all about love. Every woman wants jewelry that shouts to the world that she is loved. A beautiful heart brooch certainly says it all. Decorated with flowers and jewels, this heart-shaped Christmas brooch is the perfect gift for the one you love. Plus, it is decorated in the tradition Christmas colors of red and green. It is also a gift to you because it is priced right. Why not give her flowers, jewels and a reminder of your love for Christmas this year! Up until now, we have looked at the serious side of Christmas brooches. Now, let’s take a look at the fun and festive selections. Bells, reindeer, stockings, snowmen, and candy canes all have their place in our hearts and in our accessories. Either of these brooches would be fun to pair with a scarf or added to festively deck out our coats & sweaters. Because Christmas brooches are so much fun to wear, you will probably want more than one. I know I do!